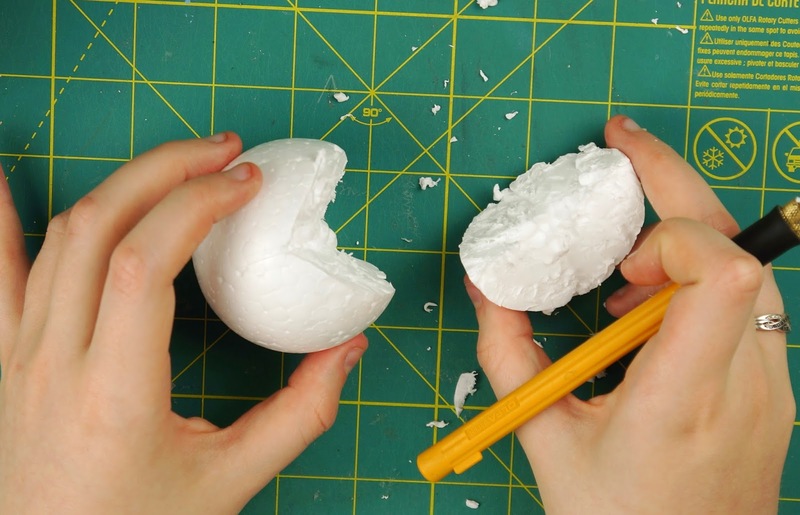 Start off by marking the center points on opposite sides of the styrofoam ball. 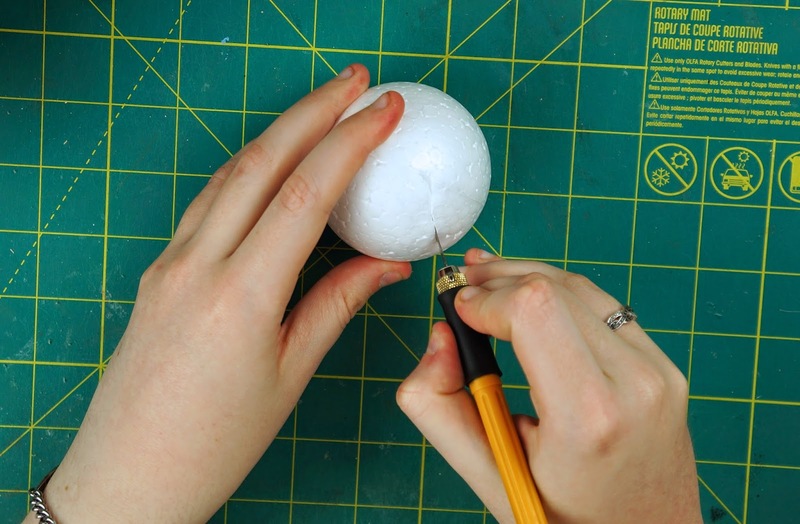 Using your craft knife, cut a wedge out of the ball, starting from the marked points of the sphere. 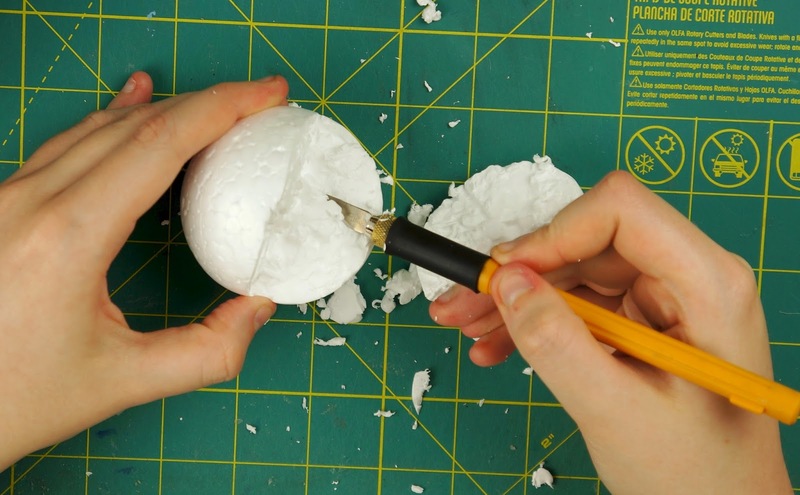 Use your knife to smooth out the inside of the ball where you cut the wedge from. 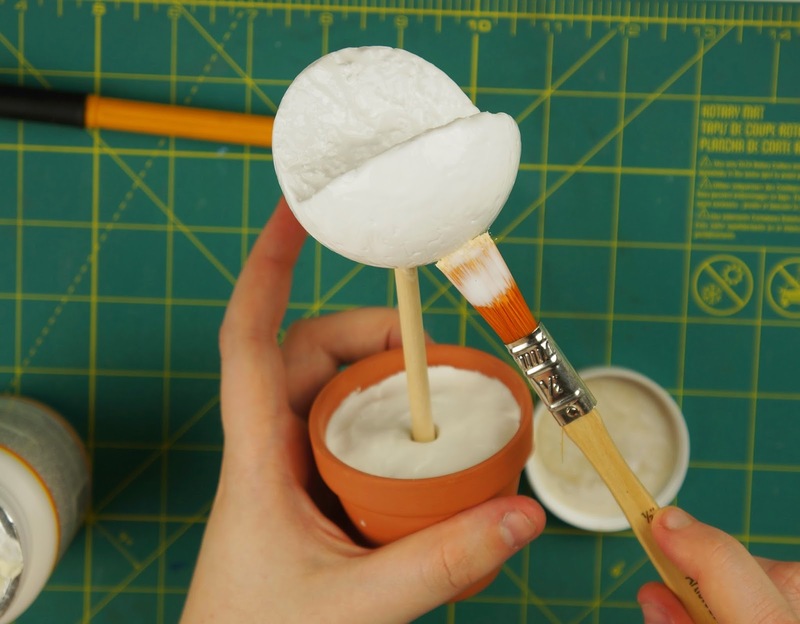 Cut your wooden dowel to your preferred length leaving some extra to be poked inside the pot and styrofoam ball. 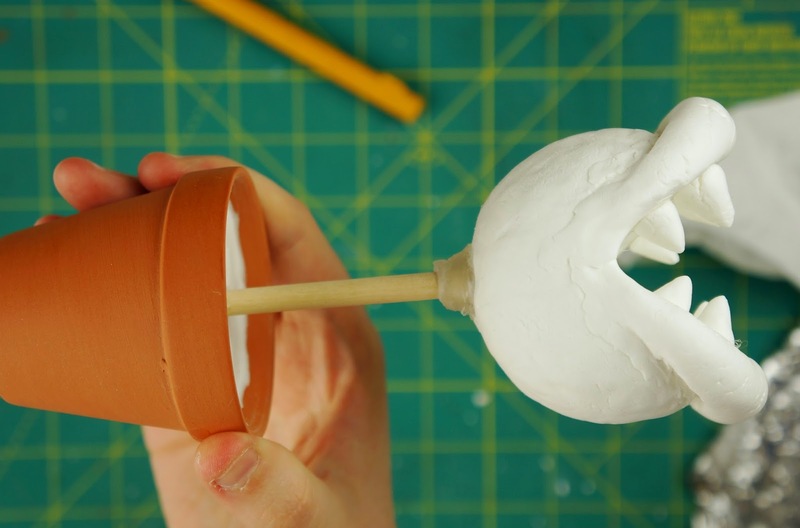 Then take your dowel and poke one end through the bottom of the sphere, in the center opposite the missing wedge, and the other end into the middle of the flower pot. 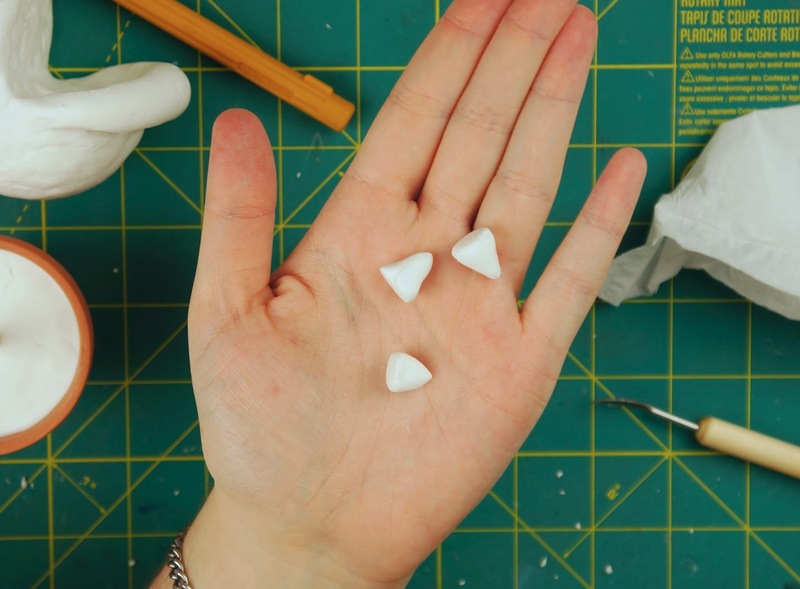 Once the ball has dried, flatten out some of your modelling compound (you can use a rolling pin it you want) then place the middle of the flattened sheet of clay into the cut out wedge of the styrofoam ball. 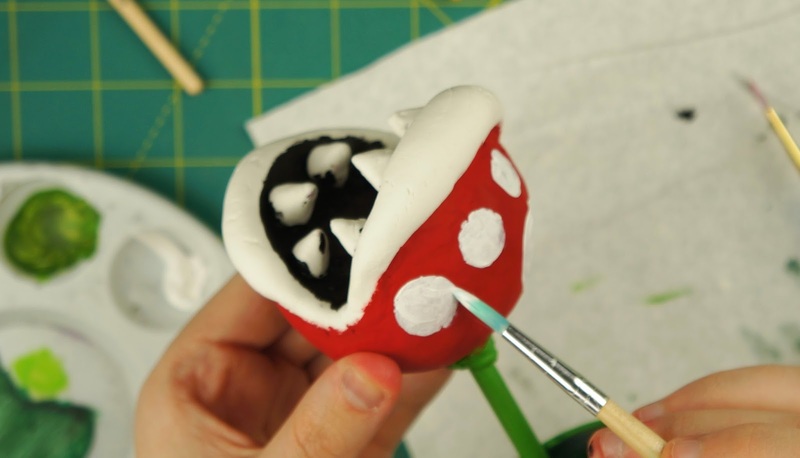 Cover what will be the inside of the piranha plant's mouth with the clay. 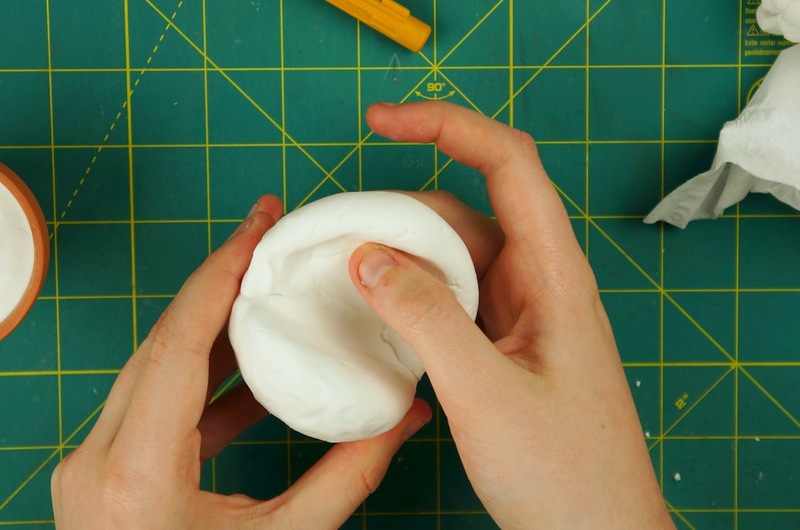 Smooth it over the edges of the sides of the mouth and continue down as far as you want. 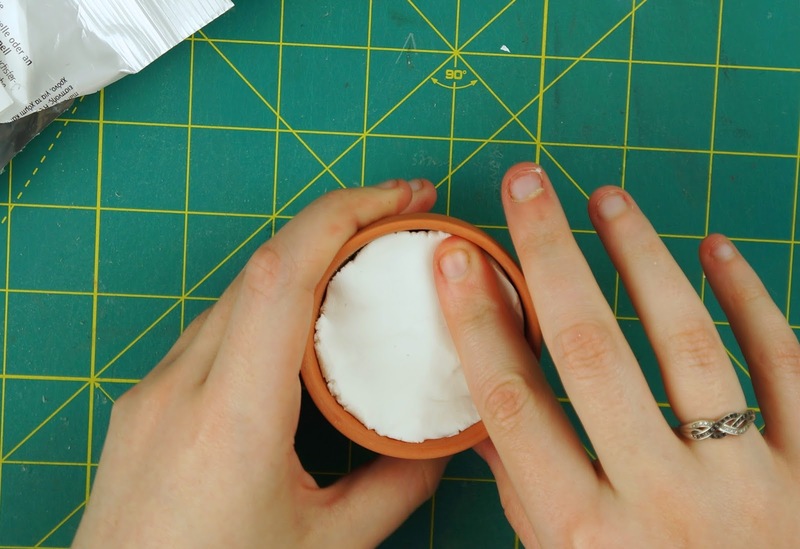 You can cover the entire ball in your clay or stop just past the sides and blend the edges of the clay into the rest of the ball. Now to start sculpting the details. 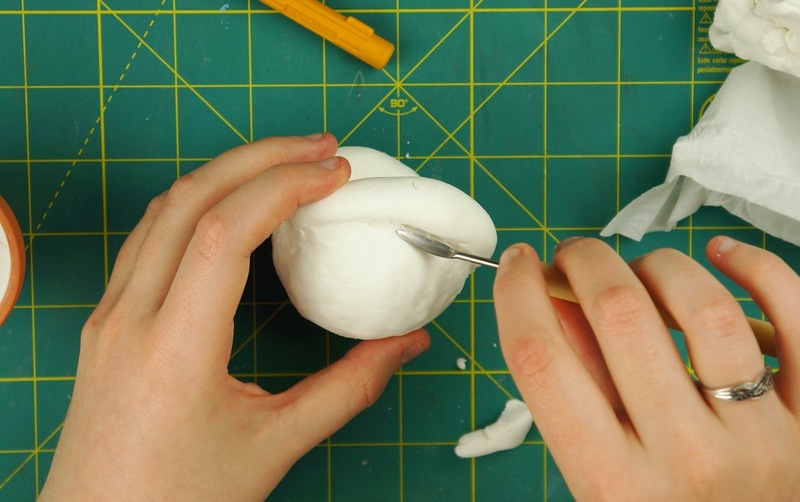 Start by rolling a piece of your clay into a log. Roll the ends of the log slightly thinner then the centre. Wrap your log around one side of the mouth smoothing out part of the log into the inside of the mouth. Also smooth out part of the log on the outside of the mouth to make the piece stay in place. Do the same thing for the other side of the mouth. 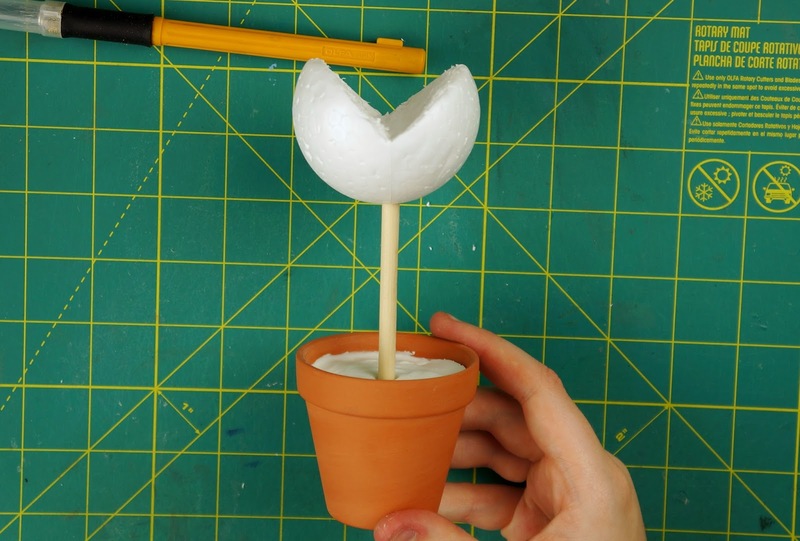 Once you have the lips of the plant sculpted, sculpt some teeth for the plant, 8 in total, 4 slightly smaller ones for the two most outer teeth on either side of the mouth. 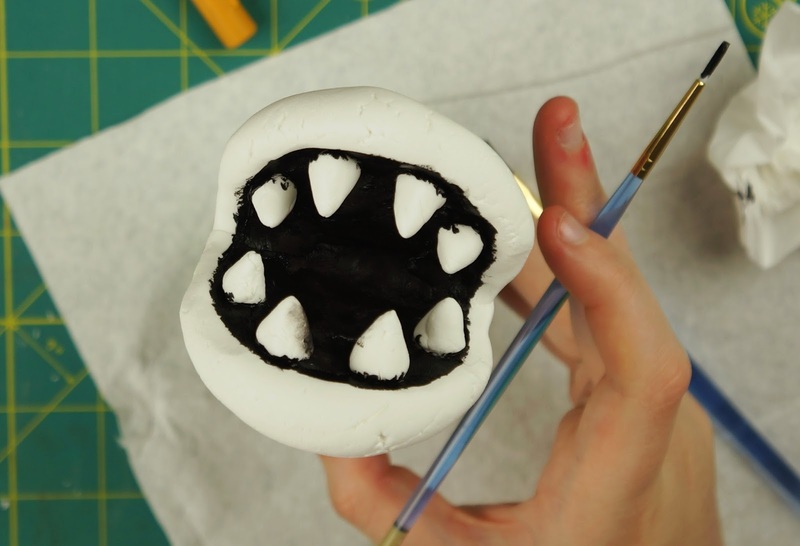 Don't try and attach the teeth to the mouth right now, we'll be gluing them on later. 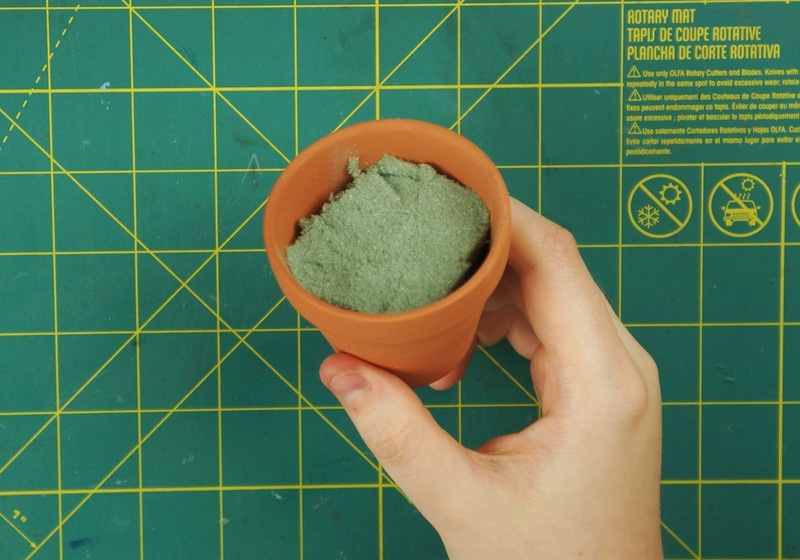 Once you have everything sculpted, let your clay dry and harden completely before moving on. 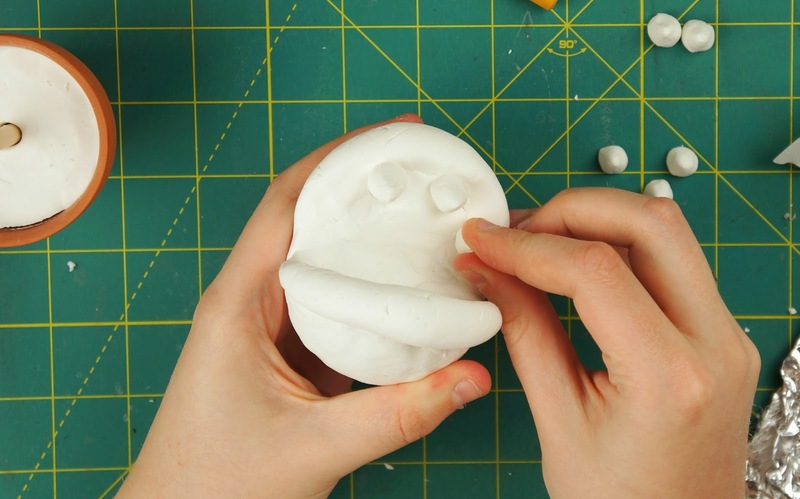 Now that your clay is dried you can start to hot glue the teeth to the inside of the mouth. 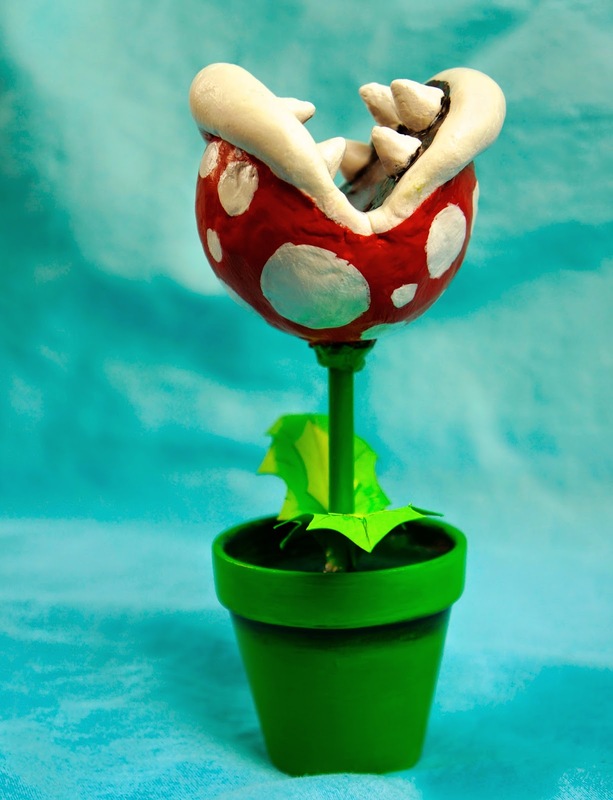 Also hot glue the wooden dowel in place in the flower pot and to the head of the piranha plant. 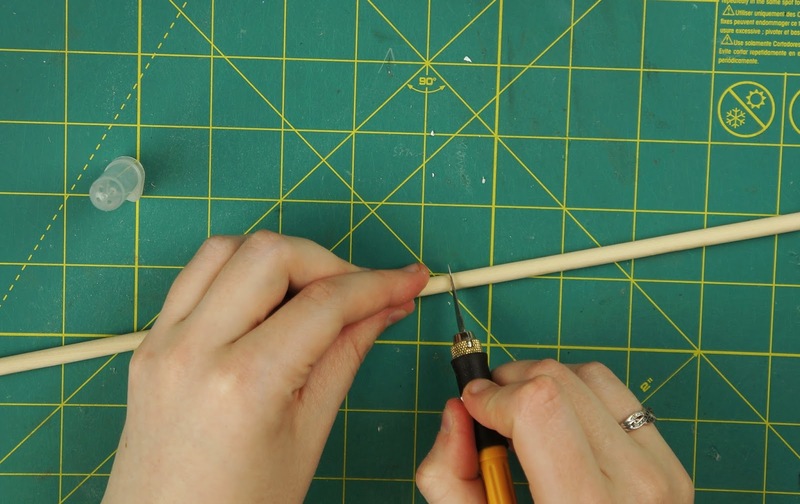 Make a ring of hot glue around the dowel where the head meets as well. Now for the fun part, painting! 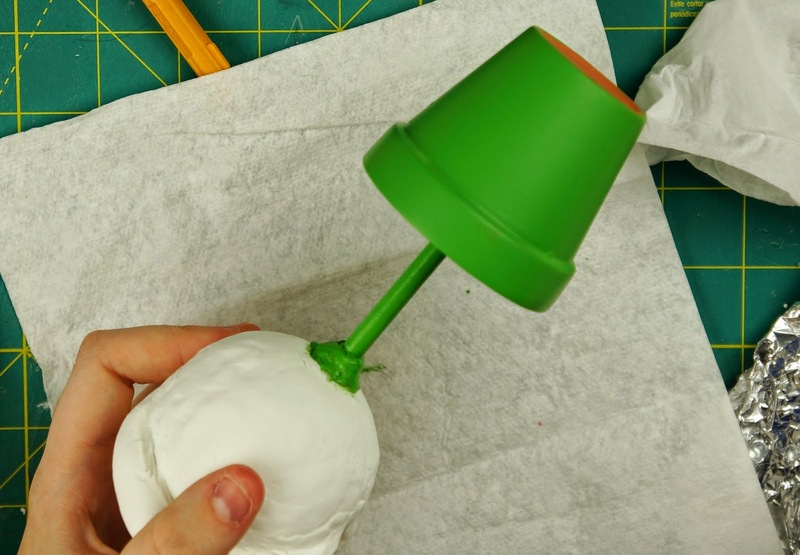 Start by painting the whole flower pot green as well as the wooden dowel and the band of hot glue at the base of the head. 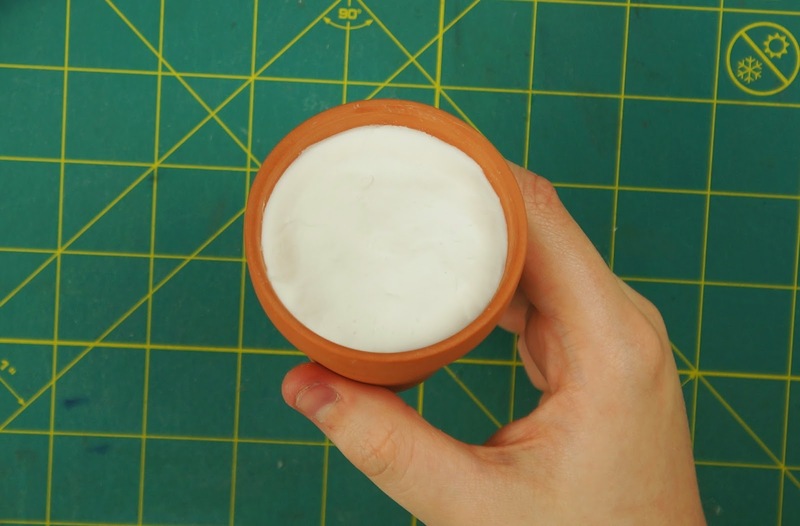 You might need to do multiple coats of paint to achieve a nice even and opaque colour. 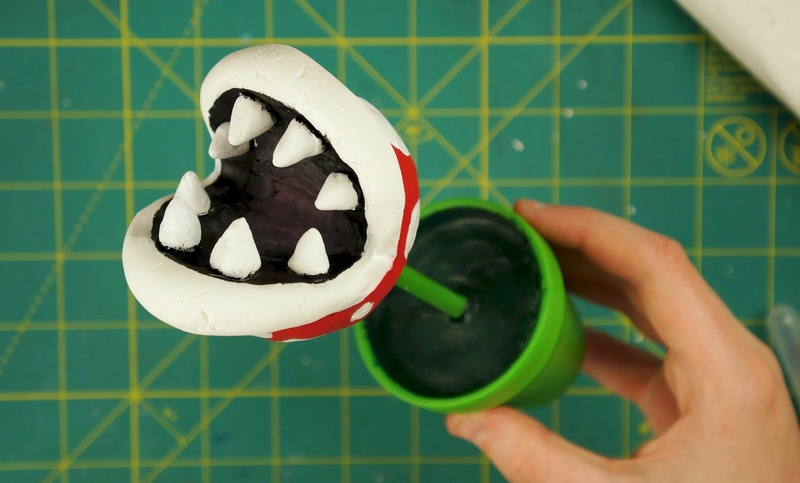 Then work on painting the head red and the inside of the mouth black. If you aren't using a white modelling compound you'll also have to paint the teeth and lips white. 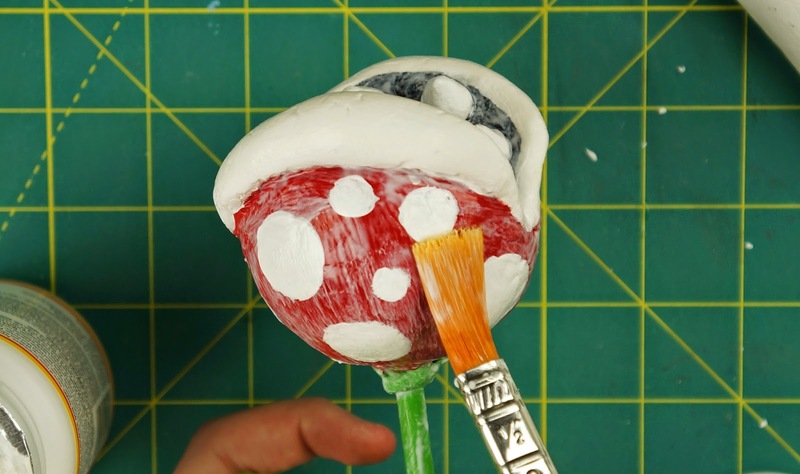 When the red paint on the head has dried, add some spots in varied sizes with white paint. 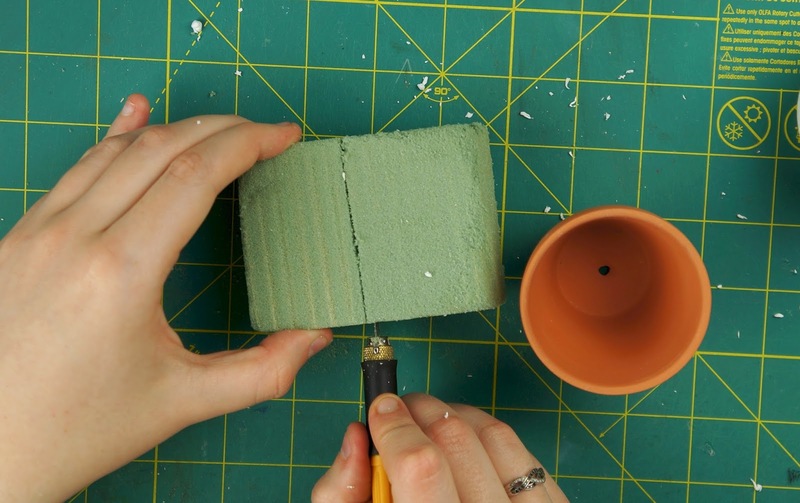 Then you can sharpen up any edges that might need it and add as many details as you like. 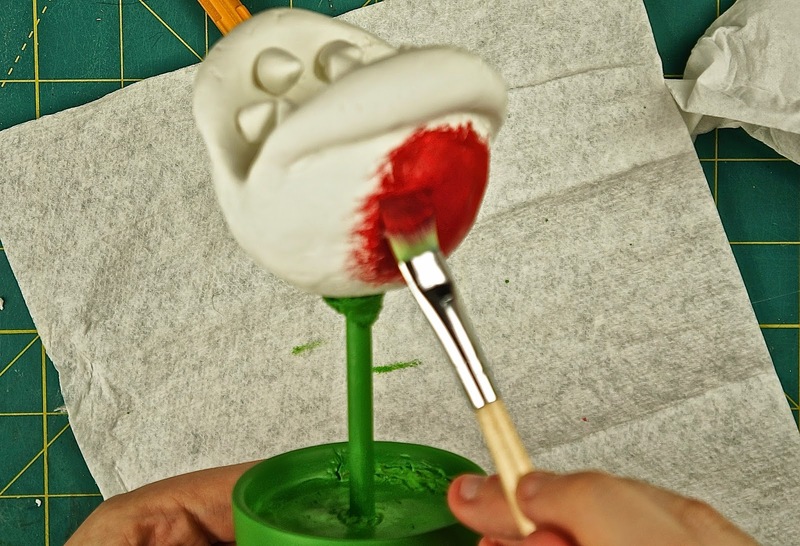 You can paint the inside of the flower pot and around the outside lip of the pot in a darker green as well as painting a pink or red colour into the middle of the inside of the mouth. 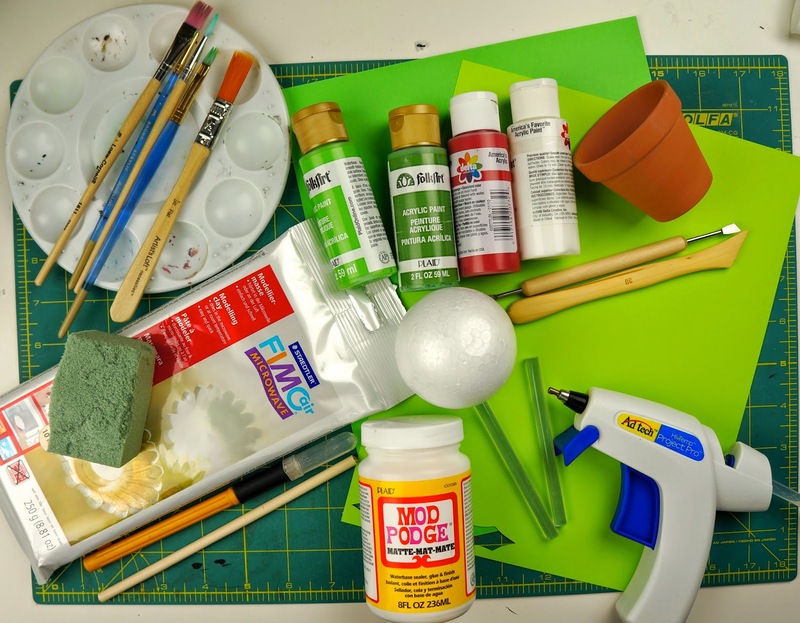 Once your paint has dried completely, you can go over your sculpture with your choice of finishing coat/spray. Let the coating dry before moving on. 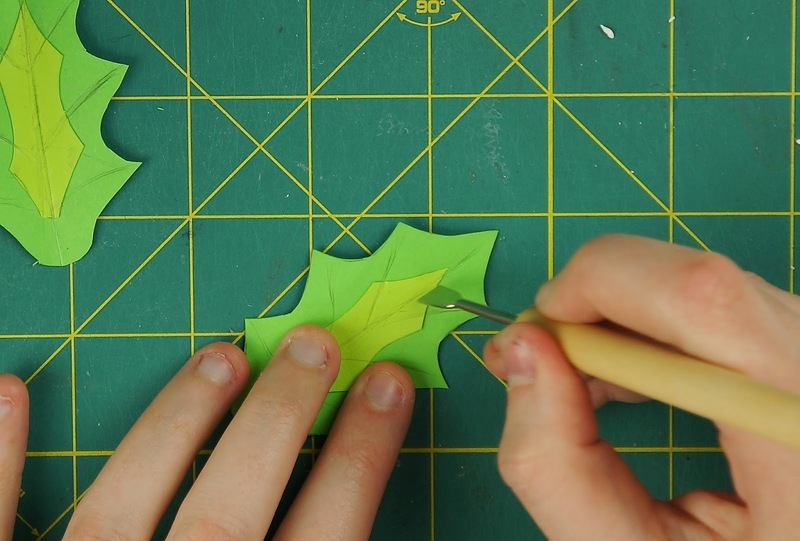 Now it's time to start making the leaves. 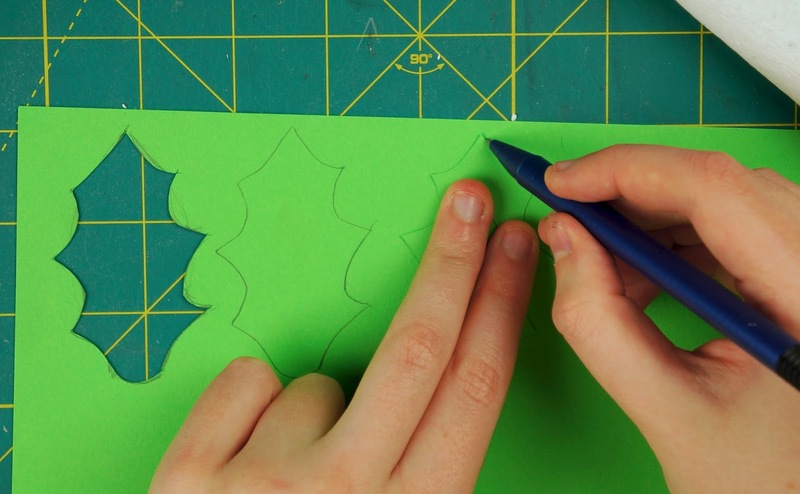 Start off by drawing out a leaf shape to make a template. 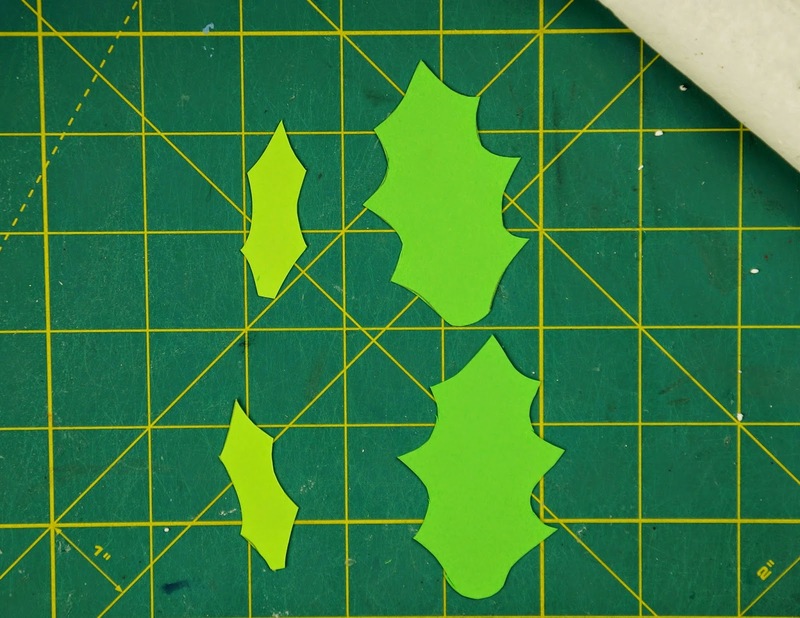 Draw a smaller leaf design within the larger leaf outline. 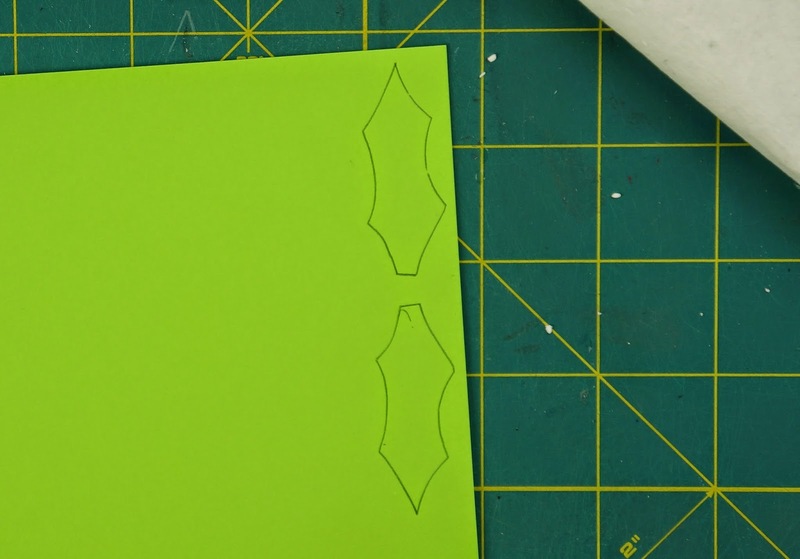 Once your happy with the shape, cut the template out. 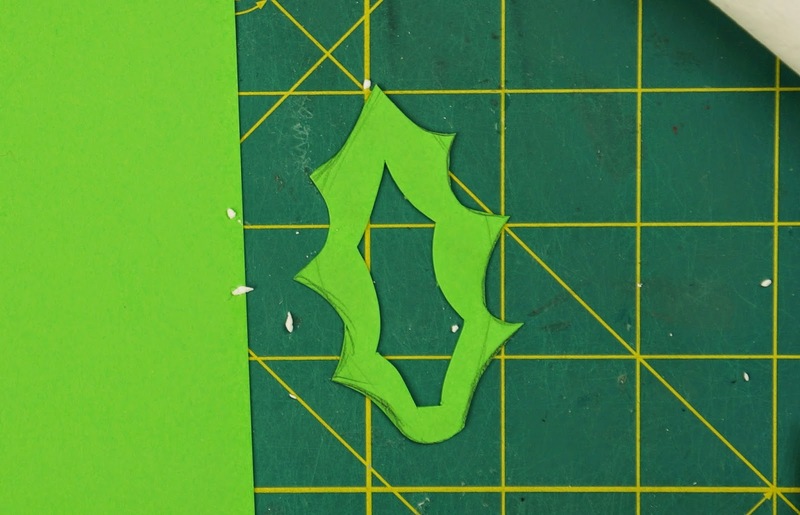 Also cut out the smaller leaf shape so that you have the larger leaf cut out with a leaf shaped hole in it. 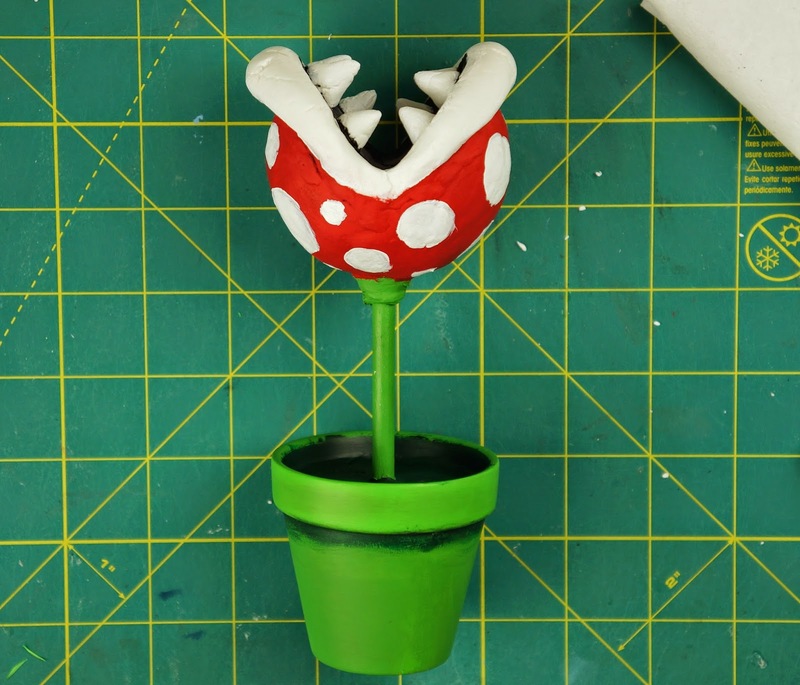 Trace the larger leaf template onto a green material (paper, felt, foam) that matches the paint colour of the stem of the piranha plant twice. 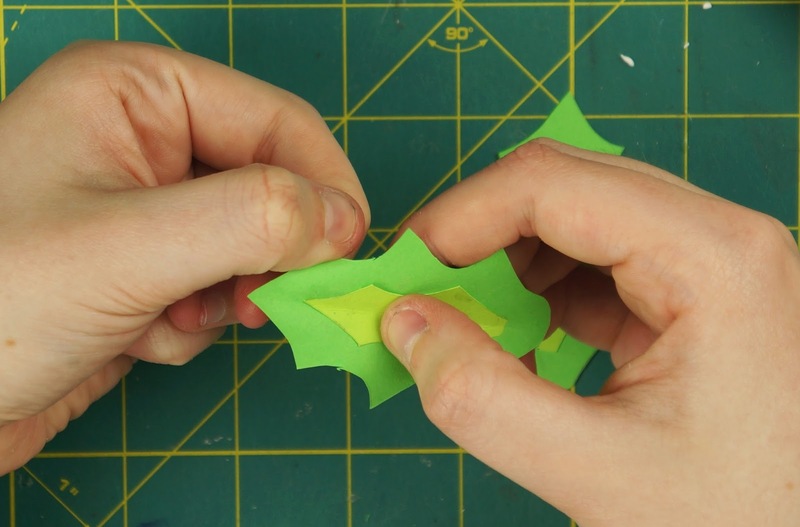 Then trace the smaller leaf shape onto a lighter green material twice as well. 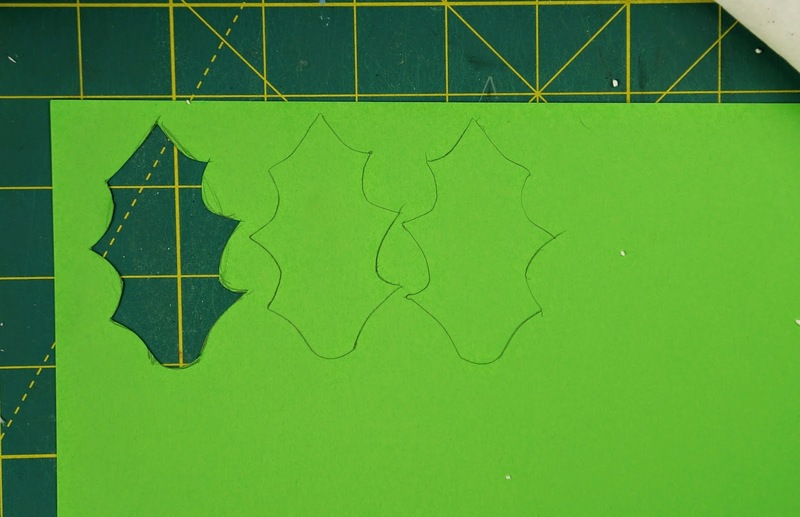 When you have your 4 leaf piece traced (2 large, 2 small), cut them out. 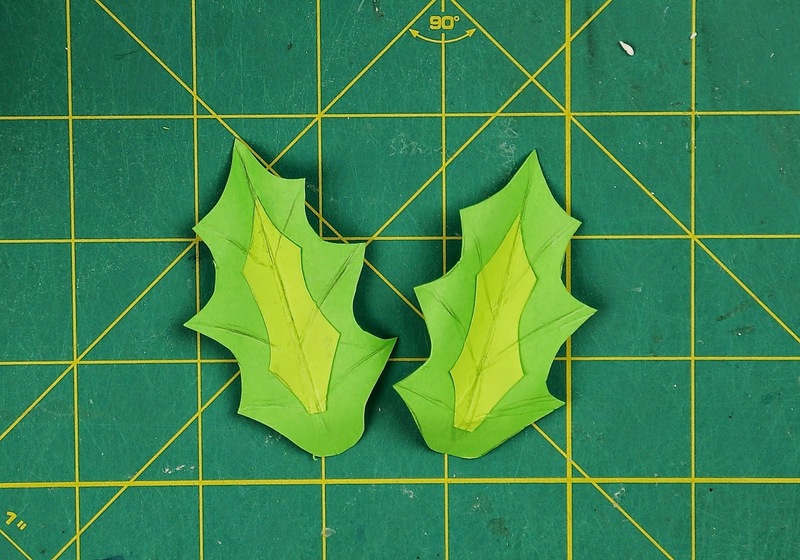 Next glue the smaller leaf pieces onto the centres of the larger ones. 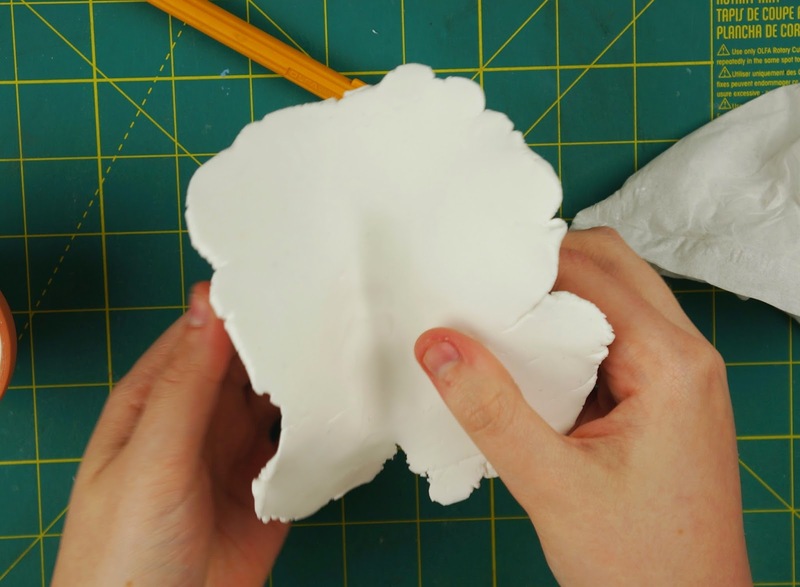 When the glue has dried start to shape the leaves. 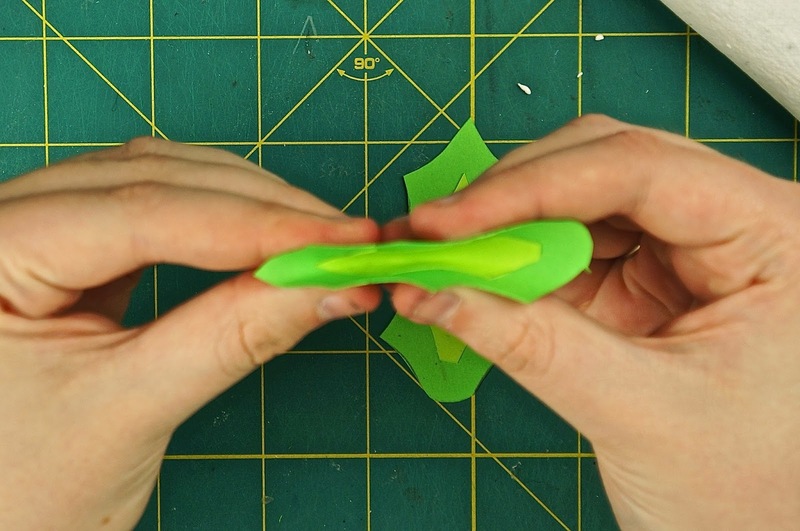 Fold each leaf down the center lengthways and bend the points of the leaf back. You can also draw on veins if you want. 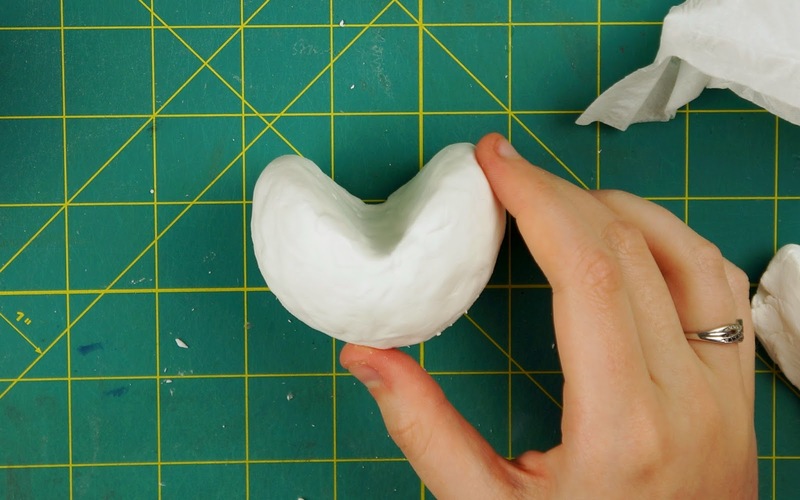 If you are using paper you can also score down the veins with a sculpting tool to add some depth. 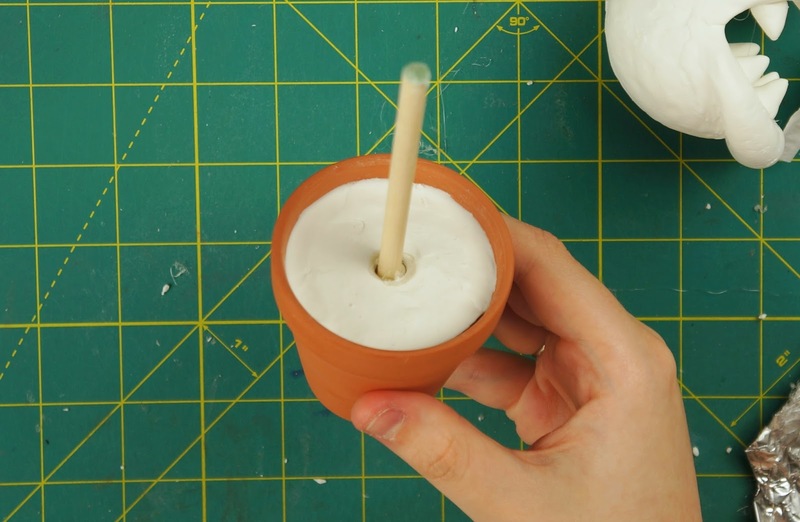 Once you're happy with your leaves, glue them to the base of the stem. 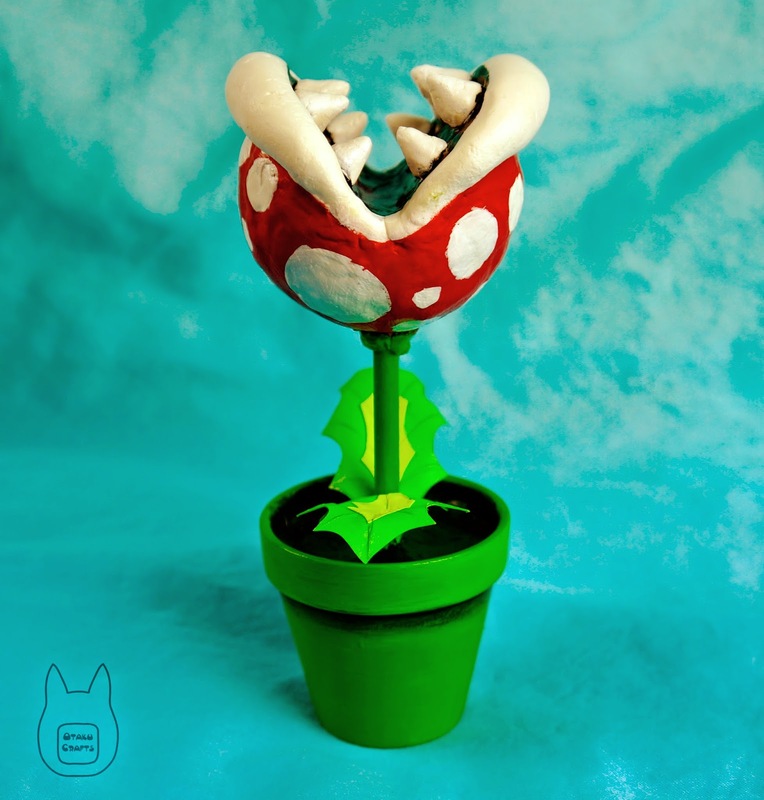 Now you have your very own Piranha Plant!